Our softball team was ranked 5th in the nation this week, and started their playoff run yesterday with a win. Baseball is ranked 11th and will get into the conference tournament soon. If you want to read about our two players going to the NFL, here is the link the the San Francisco 49ers and the Seattle Seahawks. Our winning on the field and court, also means winning in the classroom. I thought it was interesting that during our recent honors convocation, the time each academic department honors their top seniors, five of those awards went to student-athletes: two from baseball, and one each from men’s soccer, men’s cross country, and women’s basketball. I am not the first university president ever to crowd-surf: Penn State’s Graham Spanier was one who experienced that particular thrill before I did. But I’ll tell you that my moment was one of the more exhilarating of my nine years as Butler University’s president. Our men’s basketball team, the Bulldogs, had just beaten Kansas State to earn a berth in the first Final Four in Butler’s history. A crowd of students began to congregate in front of our union. My wife, Suzanne, and I gave a lot of high-fives, shook hands, and posed for pictures. I was touched by the joy and affection that evening, which marked the beginning of a wild 10-day ride for Butler. Our small university of 3,900 undergrads and 550 grad students found itself in the national spotlight as we basked in the reflected glory of our team’s success. It was in many ways as if the institution itself had caught a wave. Preparation and opportunity came together in a remarkable confluence of circumstances. Not only were we playing in the Final Four, but we were playing at home. The games were six miles from campus, in downtown Indianapolis, and interest in our university and team grew immensely. The public wondered about this little university playing on the national stage. They heard that our players continued to go to classes, even on the day of the national championship game, and wondered whether that could be true. (It was.) Many were curious about whether the Butler Way, as we like to call it, could be replicated. The attention was gratifying. Butler didn’t just stand as a model for small institutions being able to compete in the tournament. For many people, we exemplified how a university could seek a proper balance between academic seriousness and athletic excellence—and without breaking the bank. Internally, we have always positioned ourselves as a university with a basketball team, rather than the other way around. We take to heart our commitment to student-athletes. The overwhelming majority of them will never play professional sports. Get an M.B.A., yes. Go to the NBA, probably not. We keep in sight what Butler’s approach to education is. We want our students not just to make a living but to make a life of purpose, where individual flourishing is intertwined with the welfare of others. A fellow president wrote me: “When the announcers were pointing out that there were two academic all-Americans on the floor tonight and both of them were from Butler, and that eight of your players were in class this morning, I swelled with pride. This is what intercollegiate athletics is all about. I am a member of the NCAA Board now and we are struggling with what is appropriate for college sports. All we need do is look to Butler, and we have our answer.” That was the image I wanted us to project during the Final Four, and I think that is what occurred. Meanwhile, we received overwhelming encouragement from around the world—from a Butler alumnus serving in Iraq, from New Zealand, from Europe, and from a cruise ship at sea. We had former Butler basketball players come back from Sweden and Switzerland to attend an alumni reunion and pose for a picture with the team. Our bookstore sold in one week what it usually sells in a year. T-shirts came in literally hot off the press—they were actually warm in the boxes as they were unpacked. News-media coverage was abundant and overwhelmingly positive. After reading an article by the sports columnist William C. Rhoden of The New York Times, an Oakland Tribune reporter in California discovered that I grew up in Oakland. After the Tribune reporter wrote his story, I heard from old elementary- and Sunday-school friends from 50 years ago. I also suggested to Mr. Rhoden that our ballet program was as distinguished in its way as the basketball team. He proceeded to research the program, and Butler ballet became an item in the Times‘s sports page. The best news for us is that more people now know who we are. The Nielsen ratings showed that 134 million people saw some portion of our game against Duke. As Tom Weede, our vice president for enrollment management, pointed out: 100 percent of students who have never heard of an institution will never apply to it. We don’t have to worry about that now. Many college leaders are devoted to finding the right stories to tell that tap into our past and legacy, our present challenges and opportunities, and our hopes for the future. I hope this experience has helped us create more stories that get to the heart of what Butler is. Our basketball triumphs have become a metaphor, a trope, for the larger story of Butler University. Bobby Fong is president of Butler University. This has been a year of history making accomplishments for Belhaven athletics, and we crossed another important milestone today when two of our football players signed NFL contracts. Tramaine Brock and Jacob Phillips both signed NFL free agent contracts following the conclusion of the NFL draft. These are the first Blazers in our 11 years of football to ever sign NFL contracts, and to have two players in the same year is remarkable. Jacob signed a three year contract with the Seattle Seahawks, and Tramaine signed a two year deal with the San Francisco 49ers. Congratulations to Head Coach Joe Thrasher and our coaching staff for developing such a strong program that the NFL is looking to us for talent. Brock, a senior from Long Beach, MS, had a team high six interceptions and returned two for touchdowns. 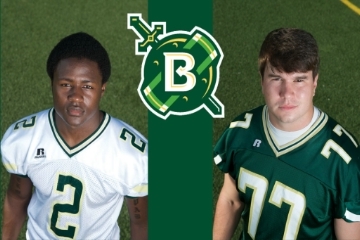 Brock tied the Belhaven single season record for most interceptions and compiled 51 total tackles with 2.5 sacks, and 13.5 tackles for a loss in the 2009 season. Brock also returned kicks for the Blazers averaging 17.4 yards per return with a long of 55 yards. Brock was named to the Mid-South Conference Western Division All-Conference Team. Phillips, a senior from Baton Rouge, LA, helped anchor the Belhaven offensive line in 2009. Phillips who is 6’6 305 pounds, contributed to a Blazer offense that averaged 308.8 yards per game while scoring 22.1 points per contest. Phillips has the potential to be a long snapper along with possessing tremendous blocking skills. Belhaven finished the 2009 season with an overall record of 6-5 and finished second in the Mid-South Conference Western Division with a mark of 4-2. It was the first winning season for the Blazers since 2006 and a vast improvement over the teams 2-9 finish in 2008. Our verse of the year has been lived out again at Belhaven University. God continues to lead us to places of safety – and this one is a big surprise that clearly shows the hand of God in guiding the University in ways we could never plan or predict. Below is a public announcement we are making with Covenant College this afternoon. More details will be shared soon, but enough to say for now, God has done a remarkable work among us. I’m overwhelmed at Covenant’s graciousness in having Belhaven take over the leadership of this wonderful Quest program. Their president, Niel Nielson, and their Vice President for Academic Affairs, Jeff Hall, have had such a Kingdom spirit and outlook about this. I’ll share more about this soon, but want to give you the public announcement simultaneously with Covenant’s press release. A year ago Covenant College announced plans to phase out its highly respected non-traditional organizational management major offered through Quest in Chattanooga and northern Georgia in order to focus more strategically on the College’s mission as a Christ-centered, residential, liberal arts college. Desiring to assure the needs of adult students are met with academically rigorous and biblically grounded education, Covenant has arranged for Belhaven University to take leadership of the Quest program. In addition, Belhaven will be adding new undergraduate and graduate degree programs at the current Quest educational centers in Chattanooga, Dalton, Rome, and Atlanta. The institutions are working through the many remaining details in the hope that students currently enrolled in the Quest program will experience a seamless transition when Belhaven takes the leadership of the program, pending approvals from the higher education governing agencies, Tennessee Higher Education Commission, Georgia Nonpublic Postsecondary Education Commission, and the Southern Association of Colleges and Schools. 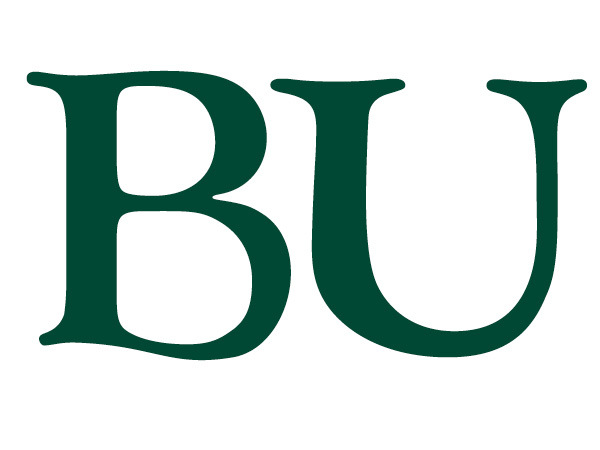 Belhaven University is a Presbyterian school serving 1,000 traditional students in Jackson, Mississippi, and offering adult degree programs similar to Quest for 2,500 students at its Jackson campus as well as three other campuses – Orlando, Houston, and Memphis. In addition, Belhaven enrolls over 500 master level students in business, education, and public administration, and offers online undergraduate and graduate degrees. Both Covenant and Belhaven are members of the Council for Christian Colleges and Universities and share the common goal of quality academic programs offered from a biblical foundation. “We are delighted that this good program will continue to serve adult students and the local community,” said Dr. Jeff Hall, vice president for academic affairs at Covenant. “We are confident that Belhaven University will be able to provide a quality program that will both sustain and extend the educational opportunities at Quest. We are eager to work through the details of this transition.” Covenant’s other adult degree-completion program, the Bachelor of Science in early childhood education (BSECE) program, is separate from and not affected by this change. The BSECE program continues to enroll new cohorts for courses at the College’s main Lookout Mountain campus. With Belhaven, students will find the same curriculum, academic quality, and personalized service that have characterized the Quest program for the past quarter century. Belhaven University Quest students can earn a Bachelor of Science in Organizational Management in as little as 18 months or choose from a wide variety of individual courses. Quest provides a rigorous, yet practical, curriculum designed to fit the busy schedules of working adults from its classroom locations in Chattanooga, Dalton, Rome, and Atlanta. Quest currently enrolls 400 full-time and part-time adult students, and many of the 3,000 Quest graduates are in leadership positions throughout the Southeast. Along with the Quest program, Belhaven University plans to offer additional graduate and undergraduate degrees when approved by the governing agencies. Covenant College serves approximately 1,000 traditional students on its Lookout Mountain, Georgia, campus, as well as offering an adult degree program in early childhood education and a master of education program. Coach Fremin and the Softball team won the University’s very first Gulf Coast Athletic Conference softball championship Tuesday night at the University of Mobile. The Blazers backed up their new #6 national ranking with a strong performance, including a national record for single season stolen bases (71) by Brittany Webb. The final home game of the season is today at Freedom Ridge Park – 3:00 p.m. double header – versus Spring Hill College. This week the Supreme Court heard oral arguments in a case that has far reaching implications for Christians, and especially universities like Belhaven as well as other ministries. While the case focuses on the rights of religious organizations at state universities, legal scholars predict that a loss in this case could, eventually, over time, open the door for religious based institutions like ours to be challenged over our ability to hire based on our faith standards. Leading up to the oral arguments there have been several key editorials in support of the position supported by Belhaven University and the Council for Christian Colleges and Universities. We expect to hear the court’s ruling in June. I trust you’ll be praying for this important decision. Below is an editorial from Christianity Today which summarizes the issue and is a wonderful reminder that God has always provided protection as the Christian faith has been threatened through the centuries. The nightmare scenarios could very well unfold, but they are not the last word. The U.S. Supreme Court hasn’t taken on many significant religion cases lately. Perhaps the justices were resting up for what could be one of the biggest rulings yet: Christian Legal Society v. Martinez, which went before the court April 19, is in some eyes the title fight between anti-discrimination laws and religious identity. It’s a case that both sides have long been waiting for. At issue is an anti-discrimination rule at Hastings College of the Law (part of the University of California). Hastings says the rule means that the Christian Legal Society’s (CLS) on-campus chapter cannot make its leaders sign a statement of faith and abstain from “unrepentant participation in or advocacy of a sexually immoral lifestyle.” The school said student group leadership positions must be open to all students—even to those who would seek such positions precisely in order to destroy the purpose of the group. If CLS loses the case, in time it would mean that “religious and other groups that adhere to traditional moral views could be driven from the public square in the name of enforcing nondiscrimination,” CLS told the court. A loss could “effectively remove evangelical organizations from state college and university campuses throughout the United States,” according to a friend-of-the-court brief filed by the National Association of Evangelicals and other evangelical groups. Even more than that, “It is not hyperbole to argue that … this case ultimately threatens the future of public education as we know it,” said a friend-of-the-court brief from the Rutherford Institute. Hastings is subjecting the freedom of association on campus “to state censorship grounded in political ideology,” the organization said. The American Civil Liberties Union, on the other hand, argued that a CLS win would “considerably weaken our civil rights protections” and set civil rights law back to the days of state-funded racism. Other friend-of-the-court briefs referenced a related debate that’s even more core to the debate on anti-discrimination laws and religious identity: hiring at faith-based institutions. The CLS v. Martinez decision will be widely cited, no matter the outcome. But as CLS made clear in its own briefs, it’s very much a separate battle. (The CLS case is mostly about speech at a university forum, and money is not central.) If CLS loses, it is far from a foregone conclusion that religious groups that partner with the government will lose their ability to consider faith commitments when hiring. And it’s a far journey from that step to the much-discussed scenario of protesters joining organizations en masse to nullify the groups’ religious identity or ethical commitments. Defenders of religious identity safeguards are not scaremongers. The scenarios they propose are actually quite likely if government entities like Hastings or the Supreme Court treat biblical principles as invidious discrimination and then shun organizations with faith commitments. But none of these scenarios represent the end of the story. In our 2,000 years of history, this would not be the first time Christian behavior has been treated as bigotry. We have seen states take control of religious organizations and churches. And we have seen restrictions on assembly, speech, and free exercise of religion lead to human suffering. We have also been reminded time and again of God’s sovereign rule. Hastings’s lawyers say CLS attendance has actually doubled since it was denied recognition as a campus organization. All’s well that ends well? No: justice and legal precedent should prompt a ruling for CLS regardless. CLS says, to the contrary, that “non-recognition has nearly destroyed the CLS chapter.” The light of the gospel that CLS proclaims is in no danger of being extinguished. Some evangelical organizations will meet off campus if they have to—in the catacombs, if it comes to that. Meanwhile, we will work for justice in the courts, and pray for a day when those who conspire to infiltrate Christian organizations would find the Leader whom our leadership requirements point to, and enter into the relationship that our sexual standards model. Ours is a God whose stories end in redemption and reconciliation, not nightmare scenarios. What a game tonight………Butler was just one bounce away from a national championship. I have great respect for Duke and their long time coach, but it was amazing for Butler, a school of only 4,000 students, to nearly beat one of the dominating programs in all of college sports. 1. Men’s basketball team to the national championship tournament for the first time in 38 years. 2. Softball ranked #9 nationally – their first top 25 ranking EVER for Belhaven – and marching toward a national tournament bid. 3. Baseball ranked in the 16th nationally and poised to move forward. 4. Both Men’s and Women’s tennis teams have a shot at a winning season for the first time in many years. This new BU cheer has worked out better than some expected! This is the theme of a conference sponsored by our Communications Department. 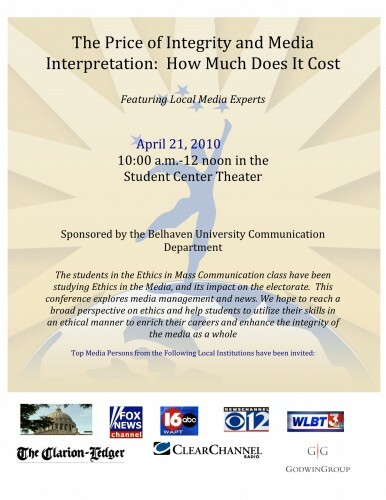 April 21st will bring together the news directors of all the major media outlets in Mississippi for this discussion. As I understand from Dr. Elayne Hayes Anthony, Department Chair, these news directors are usually so busy in the competitive world of journalism news, this will be the first time they have all been together at one time. Tonight is the final game of the college basketball season. I don’t usually have a favorite, but this year is different. I think most of the country is rooting for Butler in their “David and Goliath” battle to reach the finals. But here is the back story about basketball – and it is all about sports ministry – not March Madness. That is arguably one of the best parts of March Madness—the exciting possibility of a small-college program beating a nationally ranked team. Who can forget Princeton’s upset win over UCLA in the mid-’90s or, more recently, Davidson College’s triumphs over Gonzaga, Wisconsin and Georgetown in the 2008 season? Many wonder if this will be the miracle year that the 16th seed finally topples a No. 1 seed. The biblical imagery of triumph against the odds would have greatly appealed to the game’s founder, Dr. James Naismith. Encouraged by his director, Luther Gulick, Naismith set out to create an indoor activity for students during the winter months. Having studied European gymnastics models, and toyed with indoor versions of football, soccer and lacrosse, Naismith spent two weeks testing various games with his assigned athletics class—with no success. Finally, Naismith decided to draw from all of these sports: with a ball that could be easily handled, play that involved running and passing with no tackling, and a goal at each end of the floor. Thus, at a Springfield YMCA in 1891, was the game of basketball born. Men like Naismith and Gulick sought to develop the whole person—mind, body and spirit—and the YMCA emblem, an inverted red triangle, symbolized their threefold purpose. As Gulick stated, “Christ’s kingdom should include the athletic world.” From their beginning in 1851, YMCAs on college and university campuses had tremendous participation nationwide. Close to 50,000 men were enrolled in YMCA college Bible studies by 1905. There were 1,000 men at Yale alone in 1909. Amazingly, Naismith never profited from the sport he invented, nor did he accept speaker fees when he spoke publicly about basketball. And although the sport may have lost its relationship to Christianity, it will always have the tremendous legacy of a founder who, like his Lord, put others before himself, as he awaited his blessed hope, as the Scripture says: “the glorious appearance of our great God and Savior, Jesus Christ. I have the joy of serving as chair of Leighton Ford Ministries. Leighton is one of the great statesmen of Church, has been an evangelist all around the world for a half century, and now focuses on mentoring young evangelists. Leighton is married to the sister of Billy Graham. Jeanie is one of the wisest people I know. And she’s always been gracious in treasuring and respecting the unique relationship she has with her older famous brother. Billy is 91 years old and has been very weak physically these past couple of years. He’s confined to his house in North Carolina and has not even been able to hold any media interviews for about three years. Leighton sent to some of his friends the follow reflection for Good Friday – asking the question, what would Billy preach if he was strong enough to stand behind a pulpit one more time? When Jeanie took some friends to visit her 91-year old big brother a few weeks ago he was feeling better and chippier, and his voice was much stronger than it has been. That’s unlikely at his age. But, who knows, with that desire? But: if he was able to preach one more time, what do you think his text and theme would be? If you visited the sitting room where he spends much of his days you would know. On the wall Jeanie saw a Bible text written in very, very large letters. That gives more than a hint doesn’t it! And wouldn’t you like to hear him preach the cross? One more time? Perhaps he will. Or perhaps he did, to that small congregation, Jeanie and her two friends, at his mountain home. God forbid that I should glory … save in the cross. That’s good to hear on Good Friday.